I am salivating right now. I can’t help it. 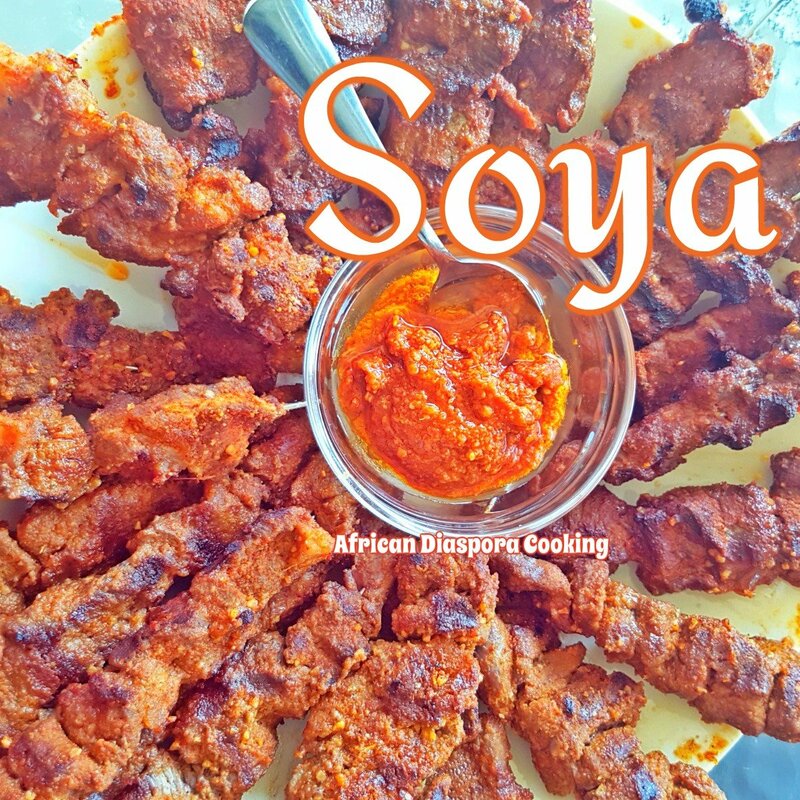 In Cameroon, almost every quater has a suya spot. 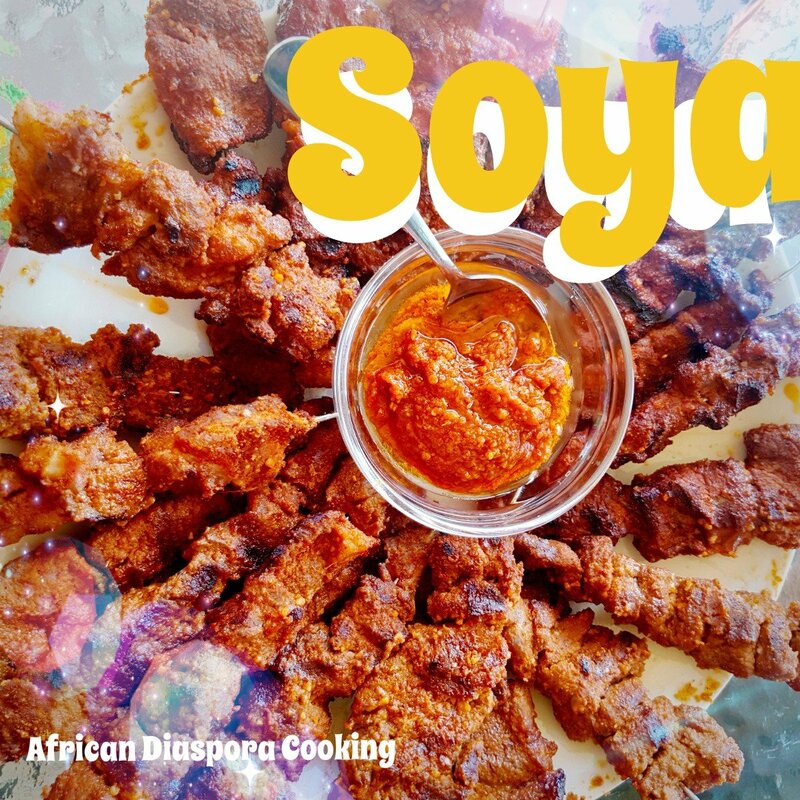 Suya is a very popular Cameroonian street food. 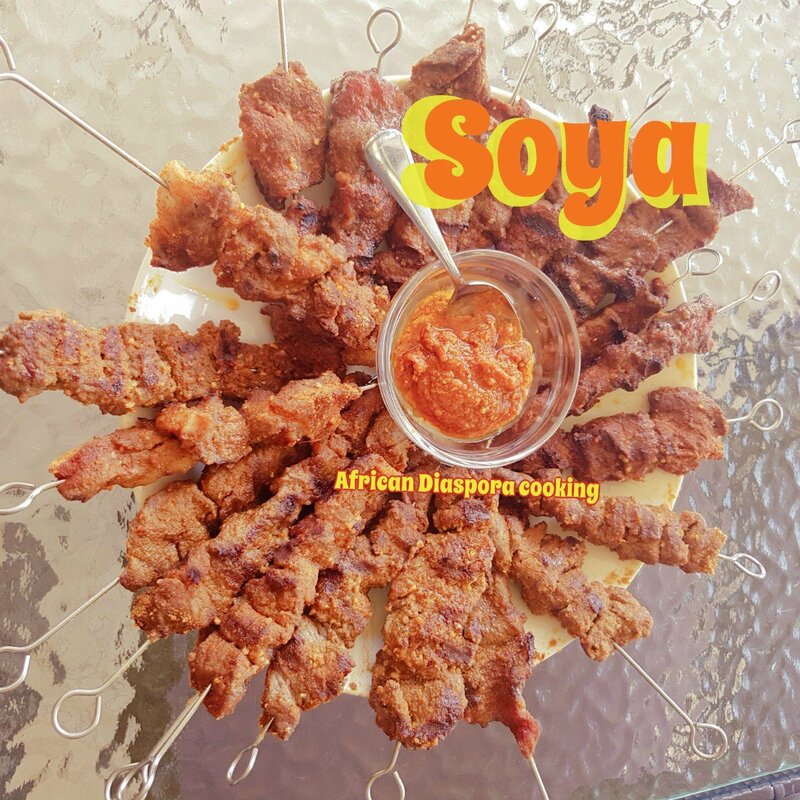 It is pronounced as ‘soya’ in Cameroon, chichinga in Ghana and suya in Nigeria and Cameroon its Soya . It is is very delucious and irresistable. It is usually acvo.panied by roasted half ripe plantains, bagette , red onuon tomato and cucumber . Ginger and garlic powder. 1 tbspn each. Wash boneless meat thoroughly and dice them in very thin slices. Carefully loop your thin diced meat into the skewers. In a bowl , combine salt , stock cubes and suya spices mixed with blended groundnuts or peanut butter paste. and set aside. Soak your meat with a brush deeped in vegetabl e oil. Use brush to thoroughly robe or season your suya. You can serve with roasted plantains , onion and tomatoes cucumber with some very hot hebanero pepper. Next Post Best Mexican beans recipe.